Here is my little oil painting from yesterday. 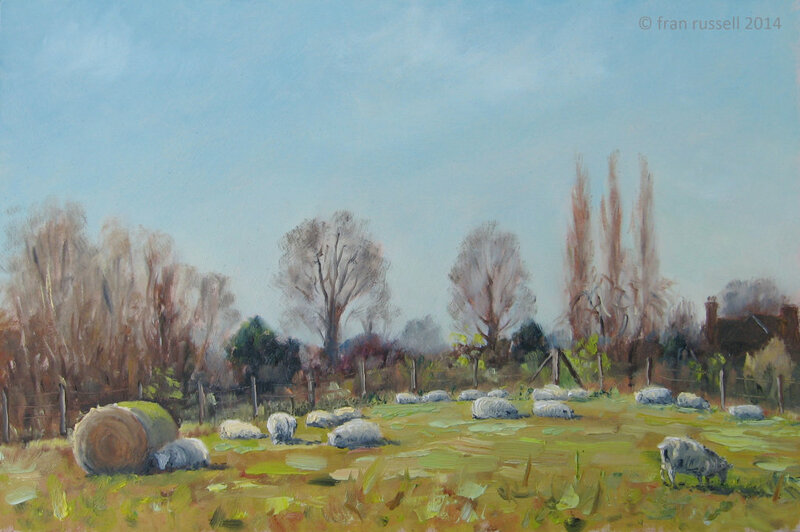 I drove to Sandhurst looking for inspiration and came across some sheep in a field with the sun on their backs. It was a beautiful spring scene with lovely light. Fortunately, parking was easy and there was a public footpath on the edge of the field beside them, so I unloaded the car, had a short walk and set up. They were a pretty lazy flock of sheep - most of them lying around, so I think they were probably expectant ewes, but that meant it gave me time to study them.